Well, we’re in luck, because a team of ornithologists and computer scientists at Cornell have developed a web app called Merlin that helps you identify the bird in your photo. And, it works surprisingly well! I was skeptical of the app at first, but it accurately identified the bird species in numerous photos of mine. I’ve seen similar apps trying to accomplish the same thing, but none of them have worked this well. 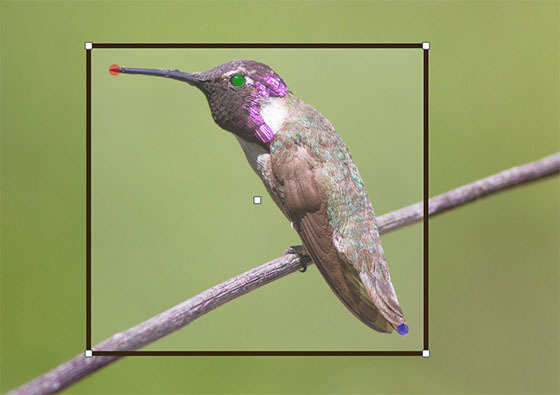 And, I think it’s because this one combines what computers are good at (pattern recognition and searching) with what humans are good with and computers aren’t (determining where parts of the bird are located in the image). Currently, Merlin can recognize about 400 of the most common bird species in North America, but it looks like they’re planning to expand this amount in the future. Anyway, check it out at: http://merlin.allaboutbirds.org/photo-id. And, be sure to bookmark it for when you need it in the future! Just wanted to say a HUGE Thank You for the link to the Merlin site for identifying birds. It’s a big help and this must therefore be one of the most useful posts I’ve seen in a long time. Thanks again. WOW, Steve, you just about read my mind! I have wanted, no needed, this for quite some time. I have, no let me rephrase that, I ‘had’ a bunch of pictures of birds, but had NO clue what kinds of birds they were. Not any more thanks to you AND Cornell (which is only about an hour south of where I currently live)! Thank you very much for this much-loved app! Cornell is awesome and continually awe me with the projects they do. I just also want to say that I have learned so very much about so many different aspects of photography since I have signed up for your newsletter a few years ago. Please keep up your much appreciated work! This is a great site…Thank you.